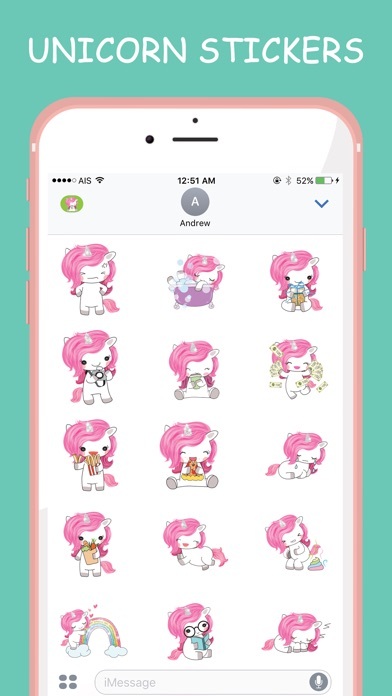 Do not miss this unicorn stickers set. 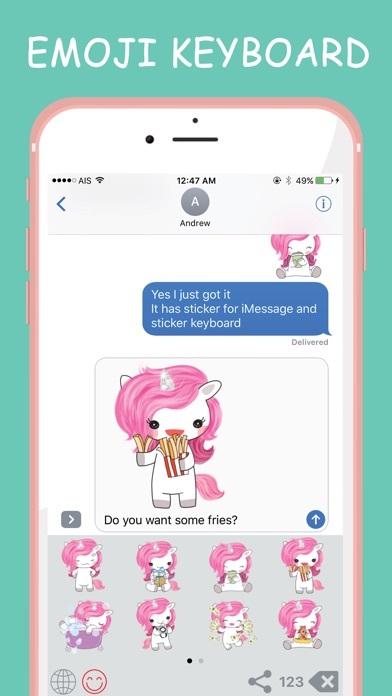 We bring this cute unicorn for both message stickers and emoji keyboards. 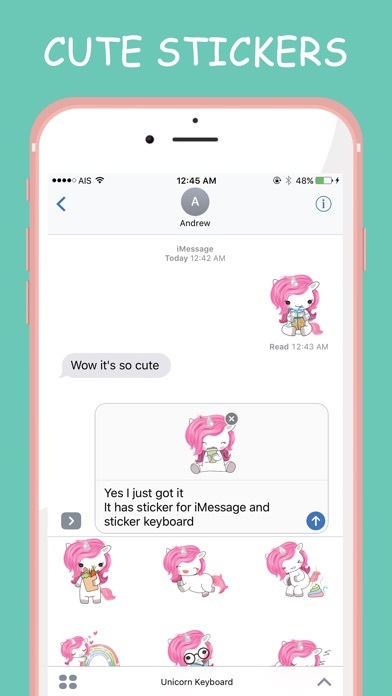 You can also use this emoji keyboard version on all apps that use keyboard by tap on the sticker then paste it on the textfield. 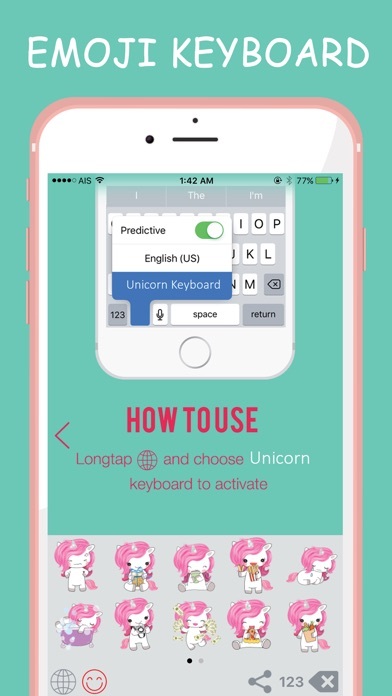 Emoji> sticker keyboard gif keyboard,fun factory.